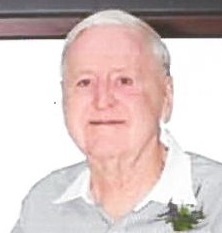 Keith “Red” Ross, Sr., 81, of Bellefontaine, passed away Thursday, March 22, 2018 at his home. He was born in Wayne County, West Virginia on October 28, 1936. Keith married Donna Lee Cribley, and they were together for 47 years before she passed away on January 10, 2009. He was also preceded in death by his mother Leota Ross Akers, his grandmother who raised him - Sadie Ross, brother Donald Glenn Akers, and grandson Brandon Ross. A veteran of the US Army, Keith was self-employed. He loved his horses and harness racing. Keith was a longtime member of The Ohio Harness Horseman’s Association as well as the U.S. Trotting Association. One of his proudest and most recent accomplishments was his three year old filly “Like Old Times” winning “Horse of the year” in 2015. Keith was a member of the Eagles, Elks, Moose, and American Legion. He was an avid fan of the Cincinnati Reds and was a season-ticket holder for many years. Keith is survived by his children: Keith (Becky) Ross, Jr. of Bellefontaine, Mark Ross of Orlando, Florida, and Kim (Tim) LeVan of Bellefontaine; 6 grandchildren: Clark Ross, Colby (Rhandi) LeVan, Lindy (Tark) Martin, Luke (Rachel) Ross, Kara (Quinn) Ross-Henning, and Hollie (Alexander) Ross-Williams; 8 great-grandchildren: Bensyn LeVan, Parker, Harper, and Carson Penhorwood, Eddie and Abbott Ross, Eden Williams, and Ryan Henning; and his special friend Gail Huser. Friends may call at the Eichholtz Daring & Sanford Funeral Home & Cremation Center, 321 N. Main St. Bellefontaine, on Friday, March 30, 2018, from 5-7pm.